Architectural building styles, material and design. 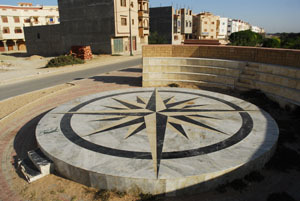 Rkhama (marble) is a marble compass at the corner of Bohaira and Azlef , a stage , from where the wall goes to Scala in the north and to Erraounak and the entry of Essaouira by the Marrakech highway in the East. 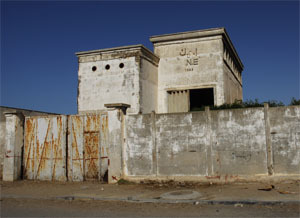 The 3 km wall is marking the limit of the town towards the Duneforest and the Bohaira Lagoons. The green belt or the natural belt is a concept used to put attention to the need of preservation of the natural reserve north and east of the town. The Mosques of the Medina represent the best of local islamic design. 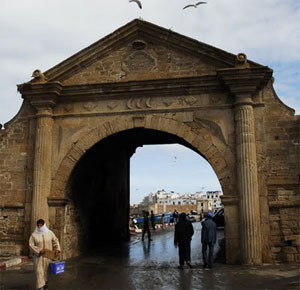 can be find in Essaouira and the province. Targets - interesting spots to visit! In the invisible treasures: "It is a memorial walk of the medina. 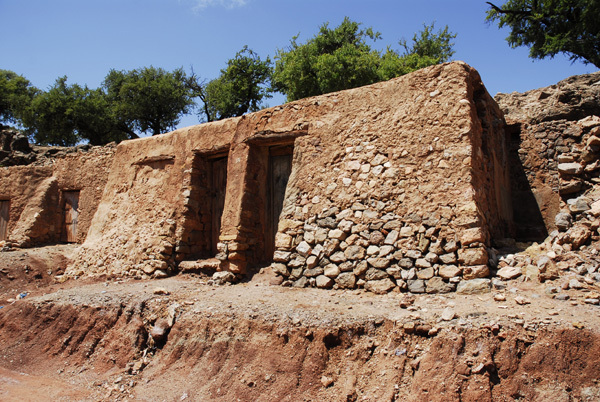 An invitation to discover what is hidden in the monuments, homes, spaces, stones of Mogador "with Professor Mina MGHARI, Historian of archetecture. 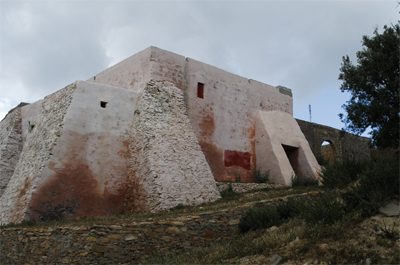 The Medina (the old town) and the mid 18th century walls and fortifications, the Scalas, are most famous architectural landmarks. This magnificent door is the entry to the medina from the port. Its part of the Scala of the Port. Scala Marine. 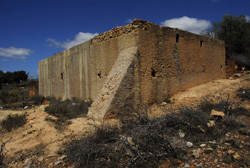 The growth of the town during the 19th and 20th century involves constructions of modern buildnings representing different epochs and styles influenced by European and African culture. 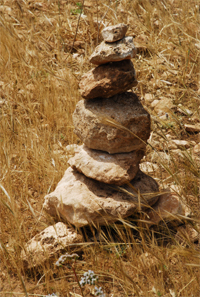 adapted to the environmental supply of stones. A rural house in the montain aera of the vally of Tidzi river. 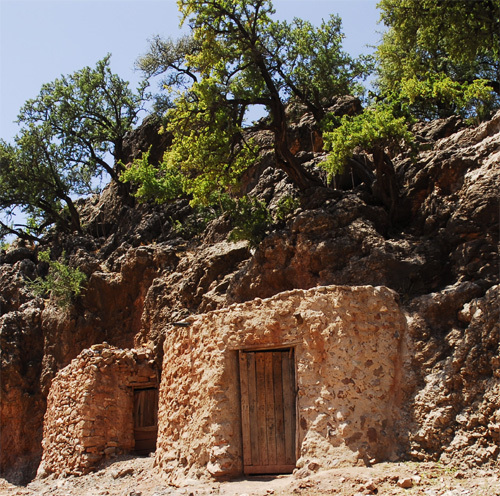 and Eco Friendly Tours Smimou. The wall of house in Birkouate. 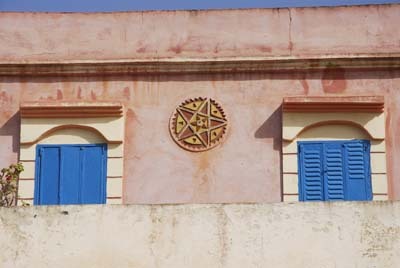 Decorated with a five point star symbolizing arab.